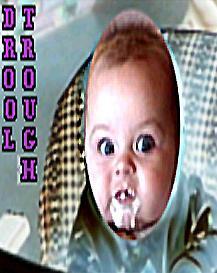 Drool Trough is an all genres show featuring cool music from the underground. Anything is game for Drool Trough, and from one track to the next you will hear completely different sounds and styles, all from homemade musicians and teeny weeny but ultra feisty labels. Your thoughts and feedback are welcome. Email your comments to jkranitz@aural-innovations.com. This edition of Drool Trough Radio is an all R. Stevie Moore special. Widely recognized as the father of the hometaper movement (or at least certainly the grandfather), Stevie was born 1952 in Nashville TN, and is the son of famed Elvis bass player and session man Bob Moore. Stevie has been recording his own music since 1966 and has released literally hundreds of cassette tapes, many vinyl releases on various labels, and of course CDs. This show will include recordings from 1969 to nearly the present, and represents a mere drop in the bucket of all he's recorded over the years. Be sure to visit Stevie's web site at www.rsteviemoore.com, where you will find loads of information about this really fascinating songwriter and musician, as well are lots of downloads and links to a whole slew of Stevie's music videos at UTube. [Track 30: 1:39:05-1:44-20] secret Beatletracks to close the show. To purchase this complete program on a 2CD set directly from the composer, please inquire within. PayPal accepted.